As a family we love getting away before Christmas to build up the excitement. This is the second part in my Christmas getaway adventures. If you haven't read the first instalment (Copenhagen) then have a quick read here. The idea is to give you some inspiration for where you could visit. As Christmas approached we headed off to Iceland for our festive getaway. With a flight time of under three hours from London, it is the perfect European destination. 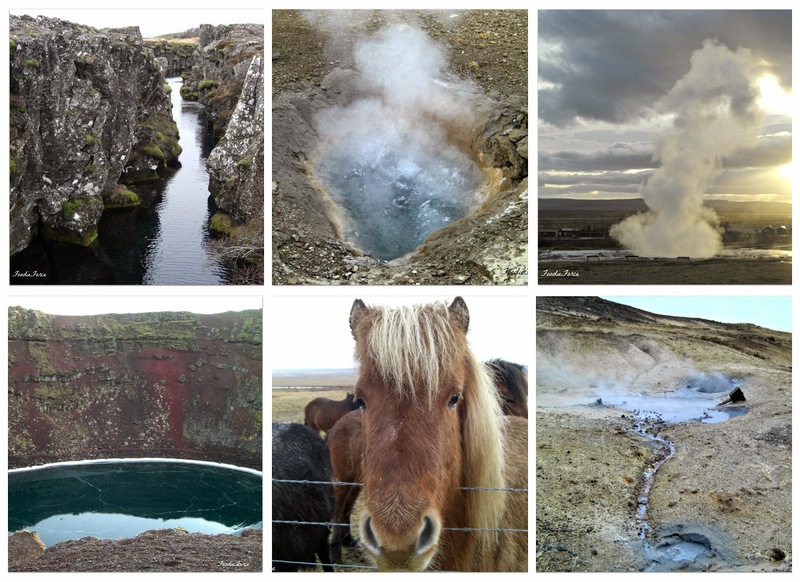 Before travelling to Iceland my knowledge of the country was quite sparse. Arriving in Reykjavik airport you could lull yourself into a false sense of security that Iceland is going to be like any other European country, you might however have judged it way too quickly. 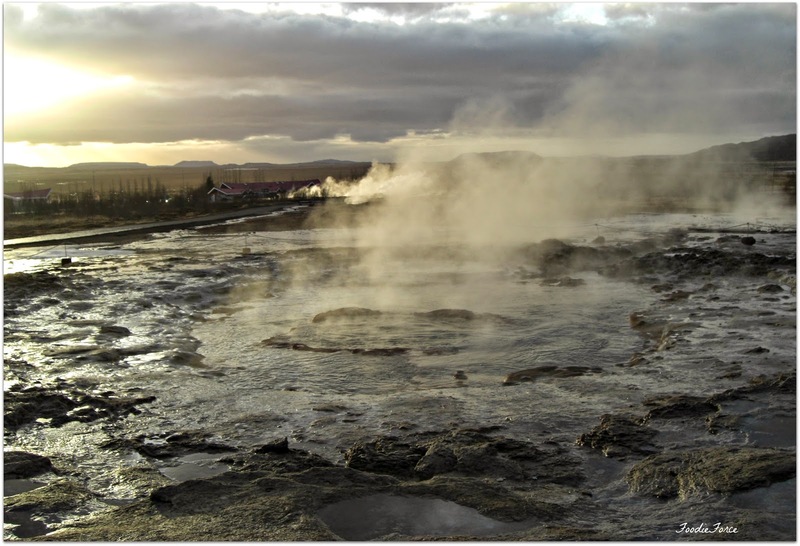 A twenty minute ride in a taxi to Reykjavik soon has you realising how beautiful Iceland is with its rugged Lava fields, glacial rivers, lush green countryside and dramatic coastlines. 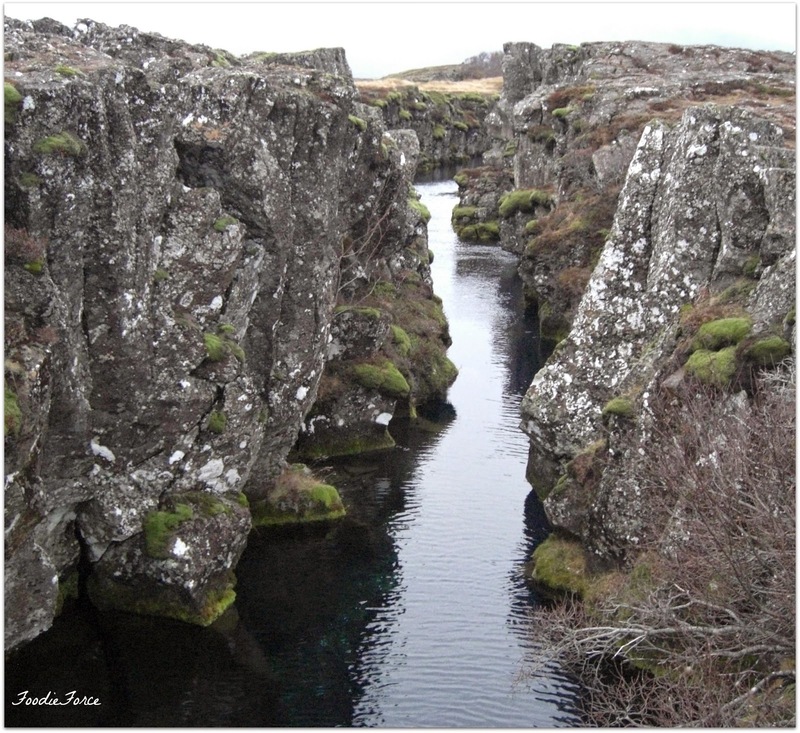 Due to the Eurasian and American tectonic plates meeting, the island is growing by about 5cm year on year. The Icelanders are proud to share, that one day they will be living on one of biggest countries in the world. For a small Island the landscape is extremely diverse, majestically beautiful and rugged. 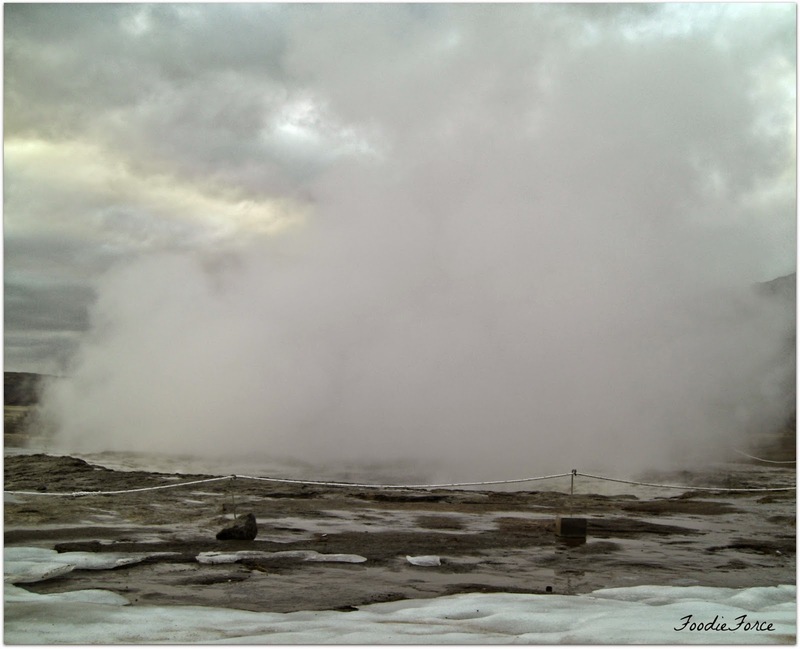 I have travelled all over the world, but Iceland for me has the wow factor. Our destination in Reykjavik was Hilton Nordica, the room was spacious and had commanding views looking out over the City and sea. Ask for a room on a higher floor and one that is facing the sea. 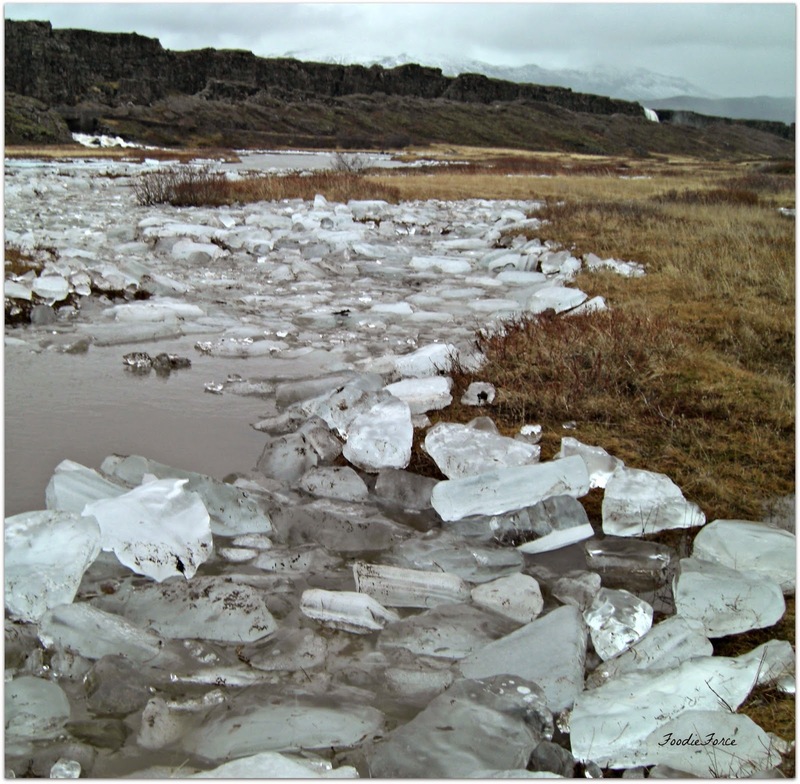 Many people had shared that I would freeze in Iceland but coming from the UK I found this hard to believe. Yes in December it is cold, and you need to make sure that you have appropriate clothes, layering up, thermals and shoes with a good grip. What is true about Icelandic weather however is that you can see four seasons in one day, with fog, rain, snow, sun, wind and hail all paying a visit. Icelanders know how to cope in the cold and snow, beautiful wool jumpers and animal skin hats. One thing to prepare yourself for any visit is the food and drink is seriously expensive. Now I live in London and I know how expensive food and drink can be but this is on a different level. So make sure you bring enough money to be able to enjoy the wonderful cuisine on offer. If you like a drink, my top tip is on exiting airport security, visit the the duty free shop in the airport this is loads cheaper than on the island. 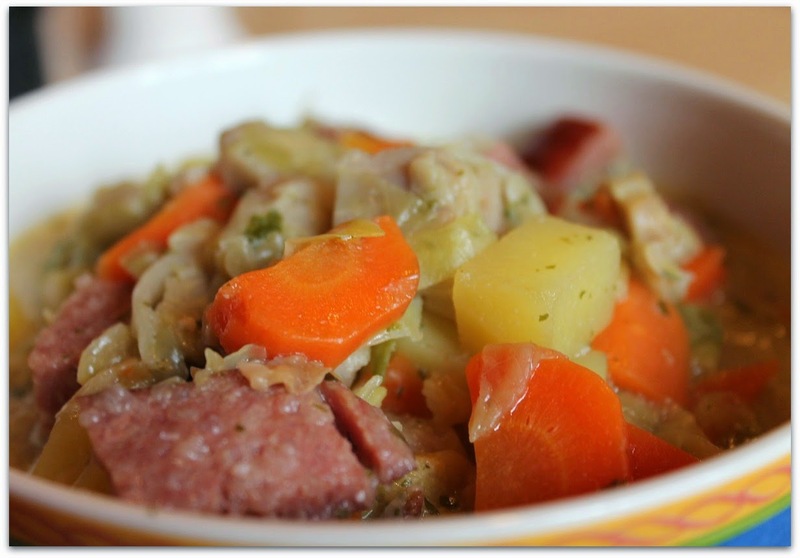 Whilst visiting Iceland you have to try their wonderful stews and soups on offer. Mysuostur, caramelised brown cheese is also a wonderful treat. I seriously fell in love with a toasted sandwich with cheese and jam. Surprisingly delicious. 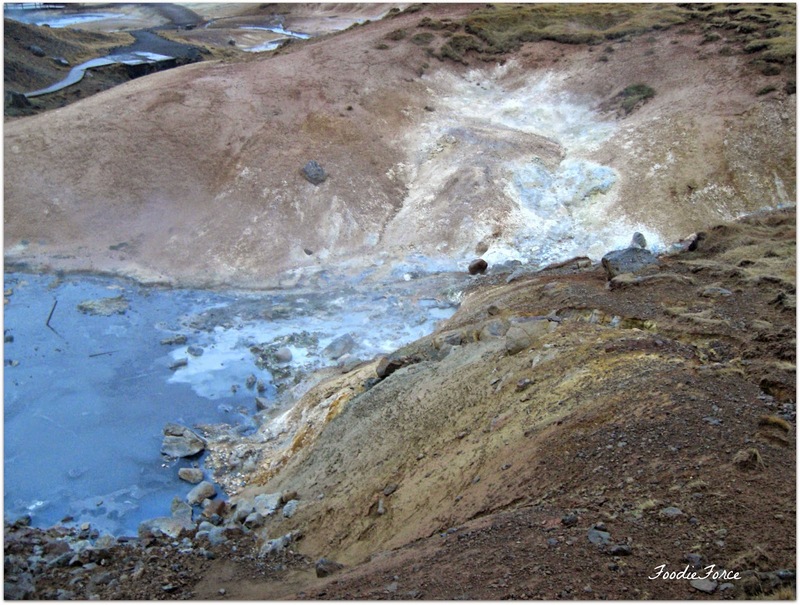 Iceland offers some wonderful tours outside of the City, that I wound highly recommend that you do. The one that is probably most famous is the Golden Circle Tour. 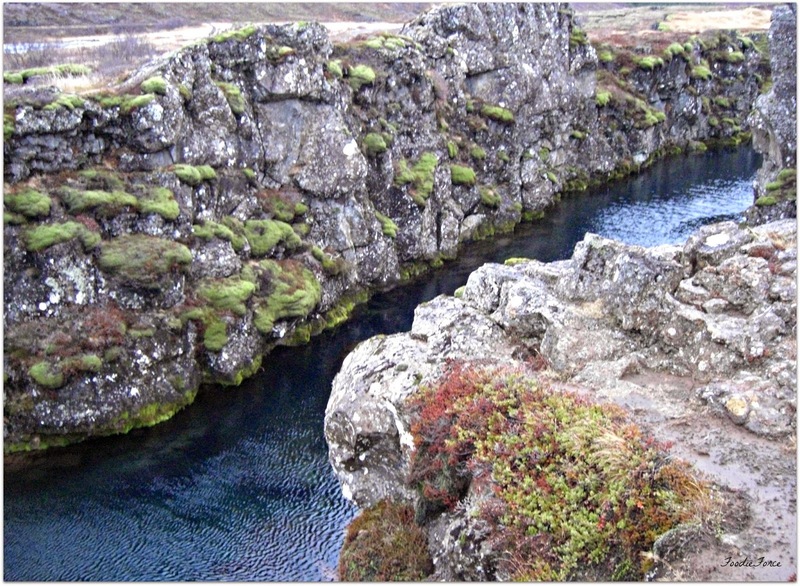 The tour showcases the beautiful Thingvellir National Park (Þingvelli). Nothing can prepare you for the beauty of the Park, it is like walking onto a gigantic Lord of the Rings film set. 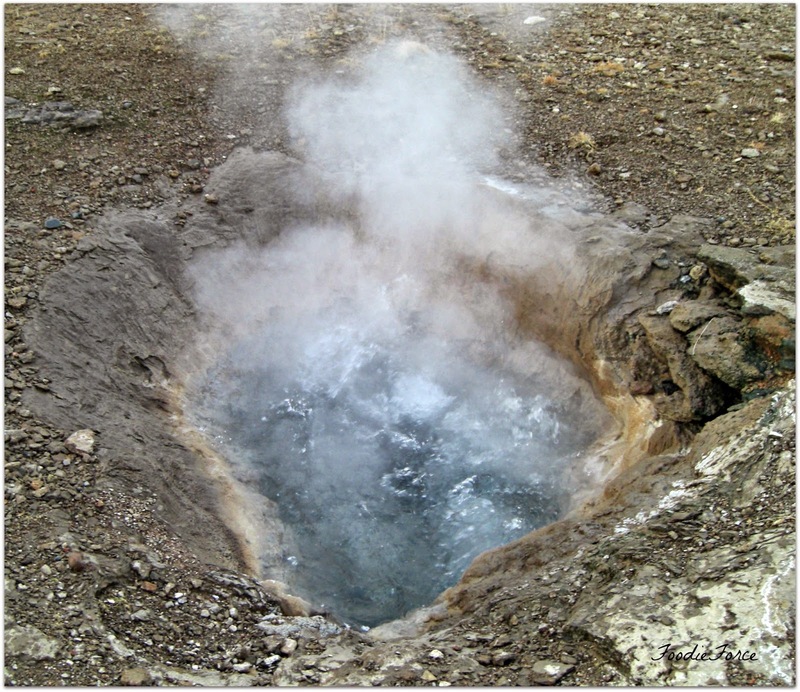 The mountains have been created by volcanic activity and the crack that runs through them is a fissure zone. The water is like an oil painting with beautiful crystal blue tones that change and ripple underneath your feet. We arrived early in the morning so there were fewer visitors around. The landscape is how I would imagine the surface of the moon looks like. 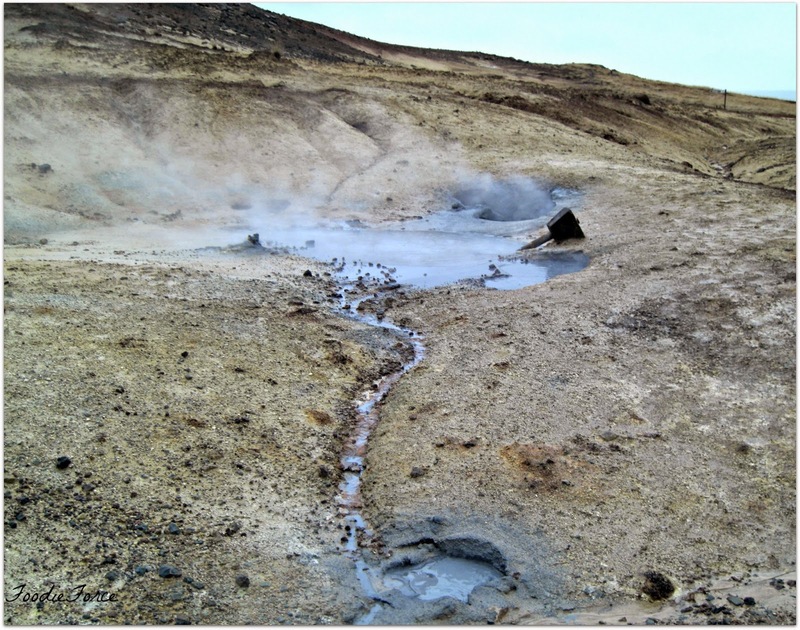 Wow, the different trails around the Geysers is a wonderful way to capture beautiful photographs and experience first hand the force of nature. Next up was Gullfoss Waterfall,now I have seen a few waterfalls in my time and they have always been a little bit disappointing. The expectation of what they will be like, never matches up with the real life experience. 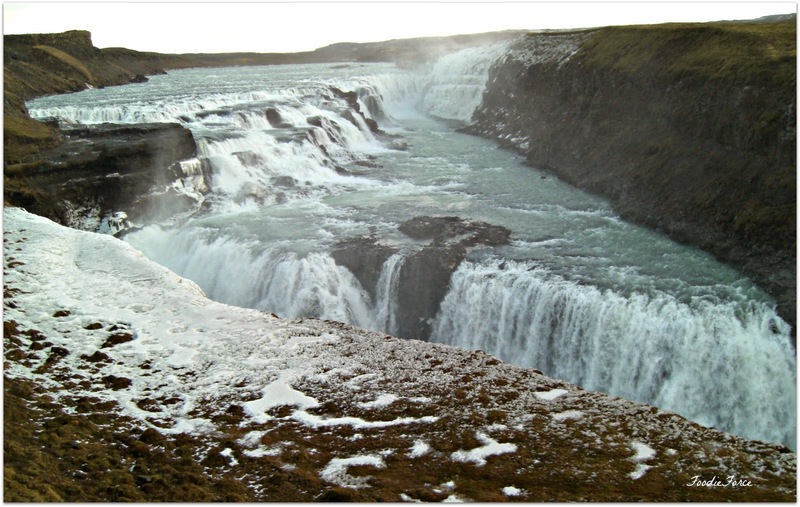 That was until Gullfoss waterfall. When we visited as you can see from the picture above, there was mega ice at the side of the waterfall. It was so beautiful it looked like soft foam suds from a bath. The falls come down in a three step formation and they are awesome. The noise is tremendous. 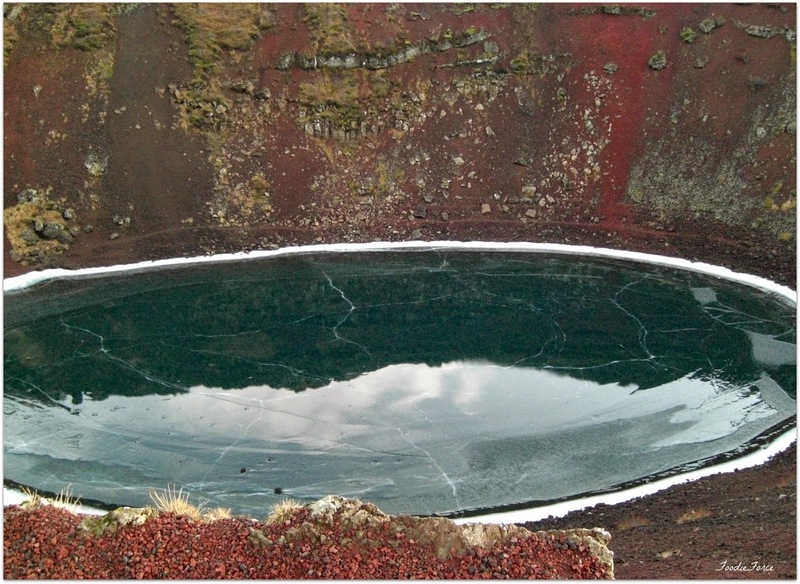 The trip ended on Kerið a volcano crater lake. Other trips to do. 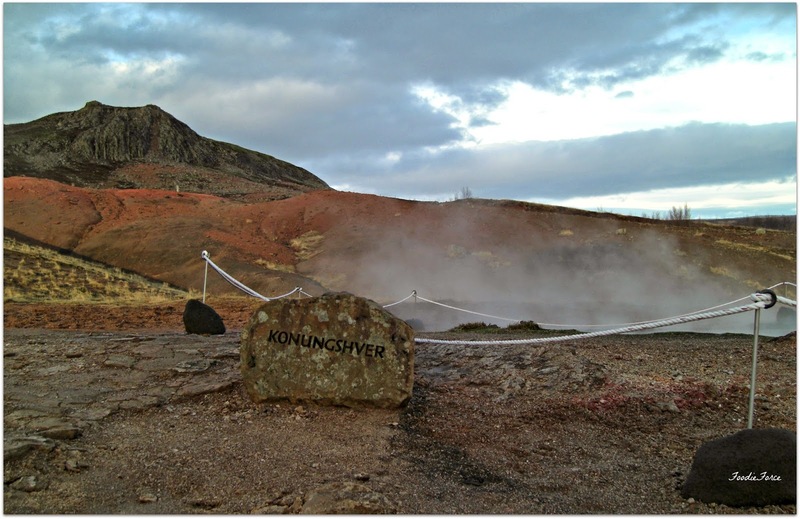 I would defiantly visit the Blue Lagoon (Geothermal Spa). Even though this is expensive, it is a once in a lifetime experience. 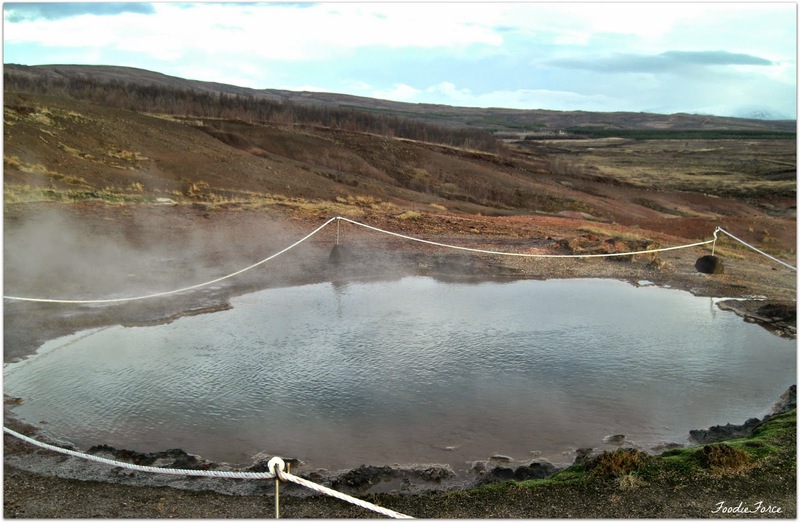 Silica Mud Mask that is around the lagoon is a brilliant natural face mask. Apply for five minutes and it will help to remove all the dead skin, helping to leave your face wonderfully soft. Top tip is to visit the lagoon on the day you are leaving as it is very close to the airport. I had a wonderful time in Iceland, it is one of the most beautiful countries I have visited and the best bit is there is still loads of beautiful places to see on the south side of the island, so I will be back in the Summer. The people are some of the warmest and friendliest I have met. The start of our autumn here in London has been really rather mild but the temperature this week has really dropped and this weekend we are set for 0 temperatures. That must mean only one thing Christmas is truly on its way. I will be planning shortly my Christmas trip for this year but next up in the Christmas Getaway series will be Tromsø. Is it too early to get the Christmas decorations out? Yes I hear you cry! Oh you spoil sports! What a fun adventure. I love how you described the "commanding views." I love well-written blogs, and yours is definitely one of them. Thanks for taking us on your trip to Iceland. 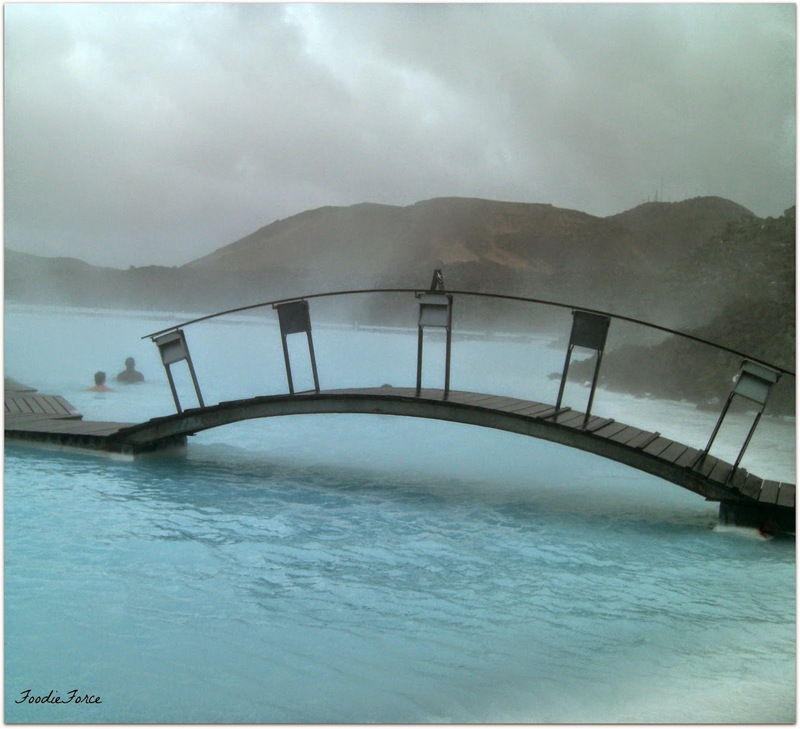 I don't know much about Iceland other than the lagoon! I'd love to visit. It looks beautiful. The geysers look amazing and so does the volcano crater lake. 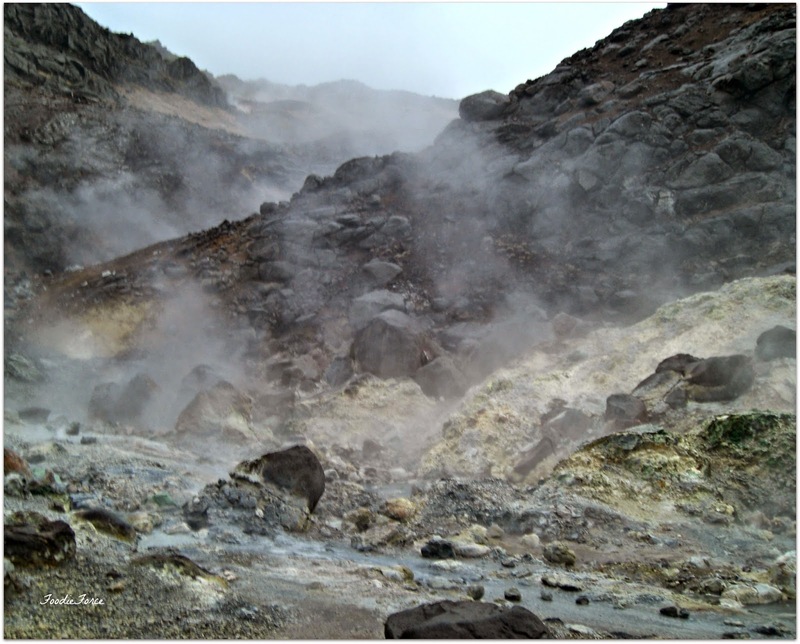 I've never been to Iceland but I have had a natural mud bath on Vulcano island in Italy, that was fun! Wowwww Lucy, I love this place!!! I have never been to Iceland and will definitely visit it one day! Love all thes pictures. Thank you love for the inspiration!!! hahahaha I would like to see all four seasons in one day - that's cool! How beautiful!!! Can't wait to show my husband that I read a blog that mentions "tectonic plates" (he is a space nerd!). I know many Americans visit Iceland. It really looks like a beautiful country, that hasn't gotten derailed by commercial tourism. 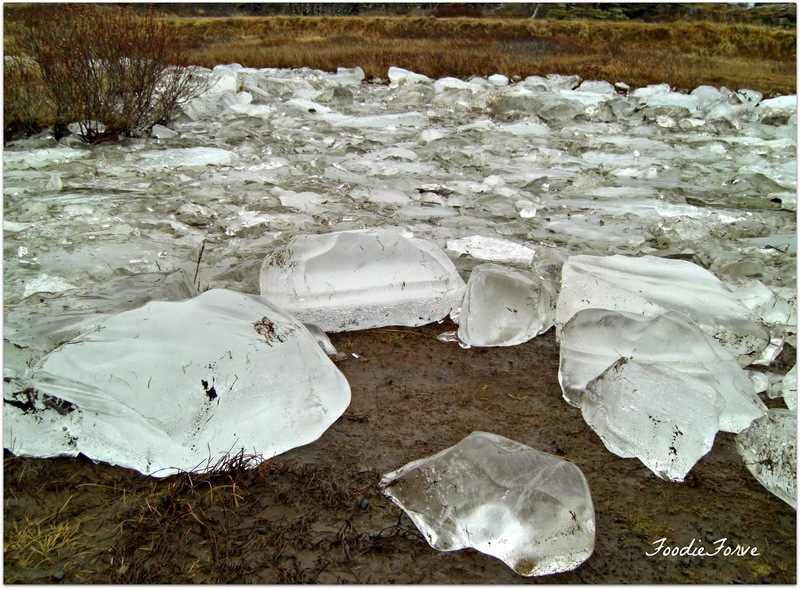 I love the big blocks of ice!!! Will definitely share it with him!!! A definite visit I will make when I come to the UK is you!!!! Just showed the hubby! So happy I know what tectonic plates are! He loved your post/photos.